Occasionally I’ll be sourcing material outside the Bond series, from both related films and television programmes. 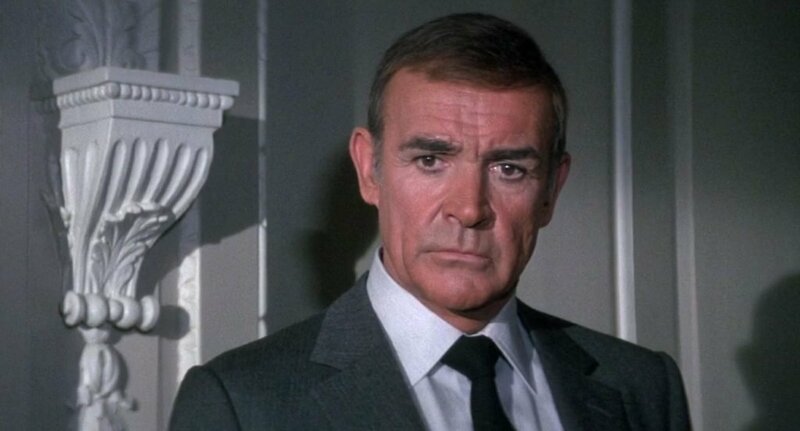 For Sean Connery’s return to the role of James Bond in the unofficial Bond film Never Say Never Again, the wardrobe was inspired by his original Bond films. The first suit of the film is a dark grey mini-herringbone. 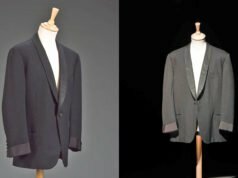 The style very similar to Douglas Hayward’s suits made for Roger Moore at the time, with it’s low button two front and high gorge. The shoulders are narrow and soft, following the natural shoulder line, and the sleeve heads are roped. The chest is clean and the waist is suppressed. The details of the jacket include three-button cuffs, flapped pockets and double vents. 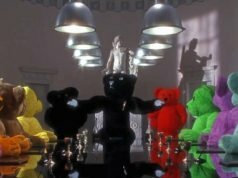 The pick-stitching on the lapels and collar are especially noticeable on the suits in this film, though you won’t see it if you’re not looking for it. The trousers of this suit aren’t really seen and all I can tell is that they are flat front like the trousers in the rest of the film. I don’t know if Connery returned to Anthony Sinclair for this film, but I suspect another tailor was used. Turnbull & Asser made Sean Connery’s shirts for Never Say Never Again. The shirts in the film have a spread collar and button-down cocktail cuffs, something that Roger Moore previously wore in The Saint and The Persuaders. The shirt worn with this suit is pale blue. 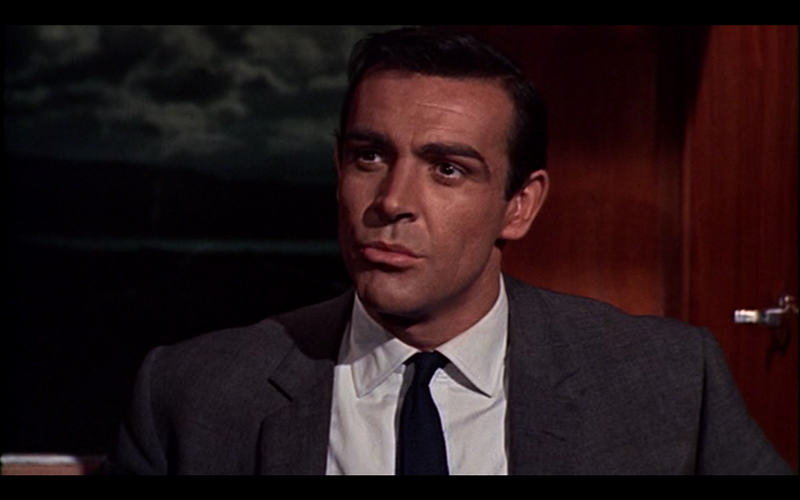 Connery wears a plain black tie tied with the dreaded Windsor knot. 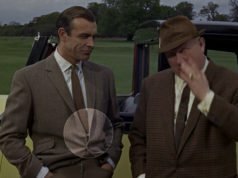 Bond’s clothes in the film are English enough despite its American direction. A pocket square would be the perfect finishing touch. I think both this and Dr. No's Windsor knot are just small enough that they look okay, especially on Connery. I suspect they are both actually half-Windsor knots, to be fair. I could be wrong though. What I absolutely cannot stand, however, are the baseball-sized knots sported by a lot of men now. They are disportionately large and take the focus away from where it should be — the wearer's charming smile. A bit boring, nondescript. I haven't seen NSNA for quite a while but from memory the tan suit he wears in the Bahamas with a blue shirt and matching tie was the best item he wore. I think he had a rather nondescript looking tweed sports coat and navy blazer in the movie also. I don't think any of them look as polished as either the ones worn in his "official" movies or those Roger Moore was wearing in the early 1980's. I'll write about the beige suit in the Bahamas when summer comes. I'd be very interested to see your Frank Foster shirts when they come. So will I! I will send you photographs of same, including close ups of cocktails cuffs etc when I get them. 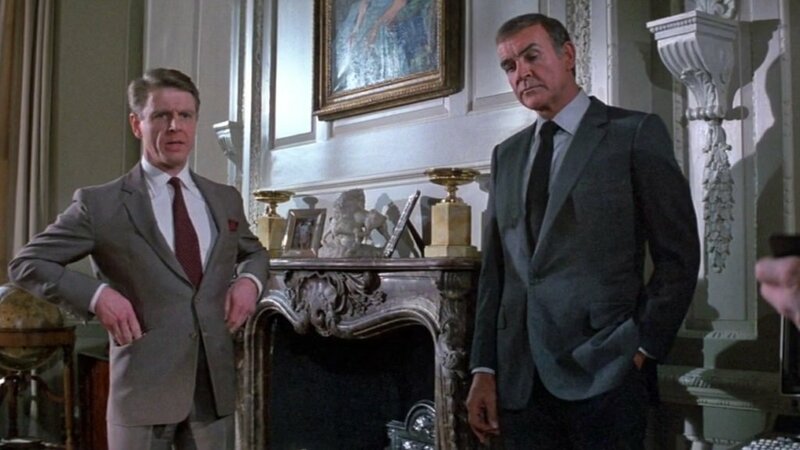 Bond wore beige suits, of varying hues, quite often, especially Roger Moore (in the majority of his movies). Connery only really wore the NSNA one and the cream coloured one from Diamonds are Forever (paired with that appalling pink tie). It might be an idea to consider comparing and contrasting the various beige suits from the different movies when you come to this blog. I think it's a colour that works quite well and is not so popular nowadays (except in it's paler incarnation). The version Roger Moore wears (only briefly in some Greek village scenes) in For Your Eyes Only, paired with a blue shirt and tie ensemble looks extremely elegant and shows Douglas Hayward at his best. Connery's Bahamas suit is partnered with similar shades from my recollection. 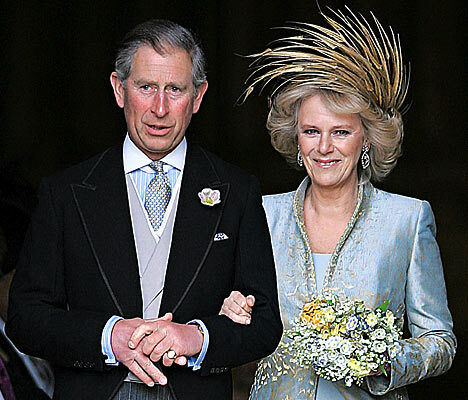 A wider, symmetrical Windsor is appropriate for a spread collar like that. As Jovan says, it's likely a half-Windsor. It's not big and distracting. There is a place for the Windsor; "dreaded" is a little strong. I know Ian Flemming disliked it, but Connery found it elegant. That's just my two cents. Keep up the great work. It could possibly be a Full Windsor or a Half Windsor. 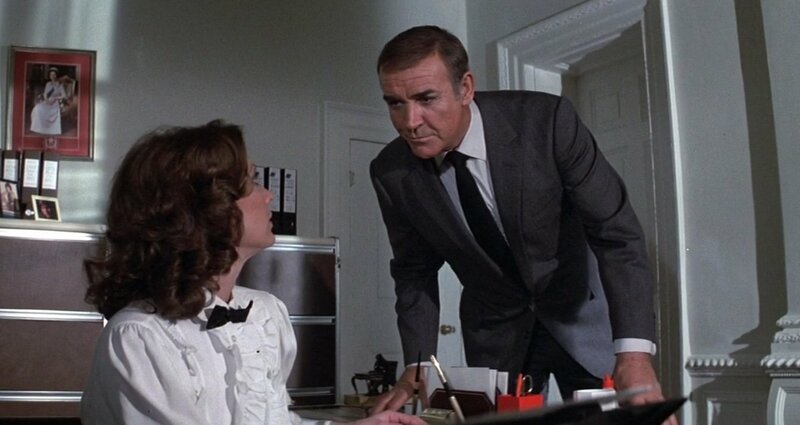 The reason why the knots don't come out too big in both this movie and in Dr. No is because the ties are fairly narrow. A Full Windsor knot won't always come out to be a bulbous monstrosity if it is tied tight with a narrow tie. Pierce Brosnan demonstrates this on the fifth episode of Remington Steele. He goes through the steps of tying a Windsor knot but when the knot is tightened it ends up very small and fits comfortably in his pinned collar. The Windsor knot is primarily defined by its shape. And one does not need to fill up his spread collar with a large knot. Sean Connery's other Bond films, as well as Prince Charles, proves this. If you've done it in the past and I've missed it then I apologize, but could you explain what is so dreadful about a Windsor? I find the symmetry a little more formal. As long is it doesn't lead to an oversized knot, what's wrong with it. I know Ian Flemming thought it was the sign of someone who tried to hard, but sometimes a formal or more professional occasion calls for more effort. To me, the dangling four-in-hand in a spread collar is a sloppy look. The best example I can think of is the Treasury Secretary, Tim Geithner. I don't see anything sloppy there, and the knot works just fine with more formal clothing. Geithner's problem is as you said, the knot just dangles there. It's not well-tied. An equally sloppy Windsor knot wouldn't look any better. Connery is in better physical shape here. But Diamonds Are Forever had better tailoring and a better toupee. I do agree with Jovan… "A pocket square would be the perfect finishing touch"! I always thought Connery’s toupee looked average in NSNA. The colour is a bit lighter then Connery’s hair was in say Thunderball. Also the style for some reason makes me think of an older Fred Astaire. Connery would have been quite salt and pepper on the sides of his hair by this time but it seems they decided to darken his hair, he would have looked better with more grey really. his hair was silver by The Hunt For Red October and looked great, plus the hairpiece in that film was very good.